Google's Stadia: The future of gaming is not a box, it’s a place. Stadia: The future of gaming is not a box, it’s a place. Last week, Google announced its first major foray into the video game industry with Stadia. They launched the console-free streaming service with the tagline 'The future of gaming is not a box, it’s a place.' And rightly so! Google Stadia will work on any Android device or any device with the Chrome browser. The service aims to connect game developers, players, and streamers into one single seamless service. Lucky for us here at WiredScore we have our very own resident gamer. Sam Blyth is a pro gamer and WiredScore’s Assistant Financial Accountant. Sam is ready to talk us through all things Stadia and the implications for gamers and landlords. Hi Sam, so tell us about Stadia? Why did Google decide to release this service? Stadia is an online streaming game platform. Their main competitors are Xbox, PS4, a chunk of the PC market, and the mobile gaming platform. The big reason Google decided to release this service is because gaming is such a massive market! 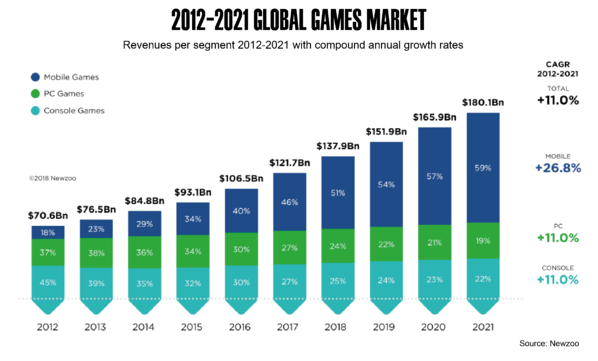 Online gaming has grown 50% over the last 5 years and the global games market is expected to grow from $140 billion in 2018 to more than $180 billion in 2021. There is a lot of money to be made, especially with the takeoff of free-to-play games like Fortnite and Apex legends. There is a massive takeoff in mobile gaming with handsets growing more and more powerful by the year. We now have the ability to stream directly to mobile which means gaming has become far more accessible to the masses. For Stadia to stream effectively, without interruption, a 25 Mb/s download speed is required which wouldn’t have been feasible five years ago. And with 5G on the horizon people will have the bandwidth to support these services in the coming years. A few companies like Shadow have tried to launch this service before and had reasonable levels of success, but no one has really taken off. It’s no surprise considering Google is a multi-billion pound company. They have no real competition and will definitely develop on a way bigger scale. Gaming has always had expensive barriers to entry with hardware costing £300 plus and games hitting £40-60 a pop. I think Stadia is interesting because anyone can play on a browser, phone, tablet, TV, PC, Xbox, or PS4. Nothing like this has been attempted at scale before. The level of the hardware Google is using is better than PS4 or XBOX - as good as a mid-range PC - way beyond what a phone/ tablet/ TV can do. As a pro-gamer, I am very curious to know how far they will take this. Google have an unfortunate reputation for withdrawing projects after two years. What are the implications for gamers? As a gamer, one of the biggest issues today is latency which is the delayed time it takes for the game to respond to the action of the player. There are multiple factors that affect latency from the frame rate of the game to a delayed monitor update. The nemesis for Stadia will be network delays caused by a heavy reliance on the internet connection. I’ve seen a few tests online for Stadia and the readings are showing 145 to 170 milliseconds of latency, for Xbox latency is around 140 milliseconds, and PC is much less at 70 milliseconds. For recreational and single player gamers this is a non issue, but for competitive gamers it’s massive. For a competitive shooting game it’s the difference between losing and winning. There are a few alpha tests out, but Google has not yet released official figures or addressed how they will manage latency issues. Finally, what are the implications for landlords? Forward thinking landlords will already be preparing for these changes and futureproofing their infrastructure so they can provide these new technologies. Those landlords who are not thinking ahead risk becoming irrelevant to the growing gaming community. 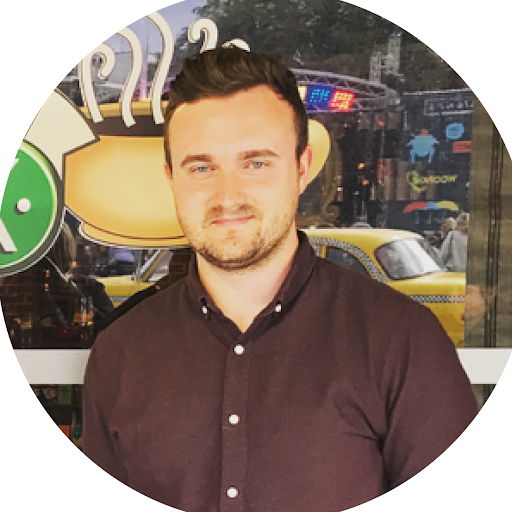 Sam Blyth is the Assistant Financial Accountant at WiredScore. When he's not playing on Excel he's winning gaming tournaments with his PC keyboard. Sam has been a professional gamer for 12 years with an array of sponsorship deals, because he's just that good! He started with Halo 3, Call of Duty, and FIFA, in 2018 he moved on to the battle Royale genre with Fortnite and APEX Legends. WiredScore will be offering an incredible suite of professional development opportunities and benefits to our global team in 2019, and it’s just one great reason to join our fast-growing team. Head over to our careers page to learn more about our open opportunities now!